Descend into the tunnels of Dry Hills in search of a great evil. 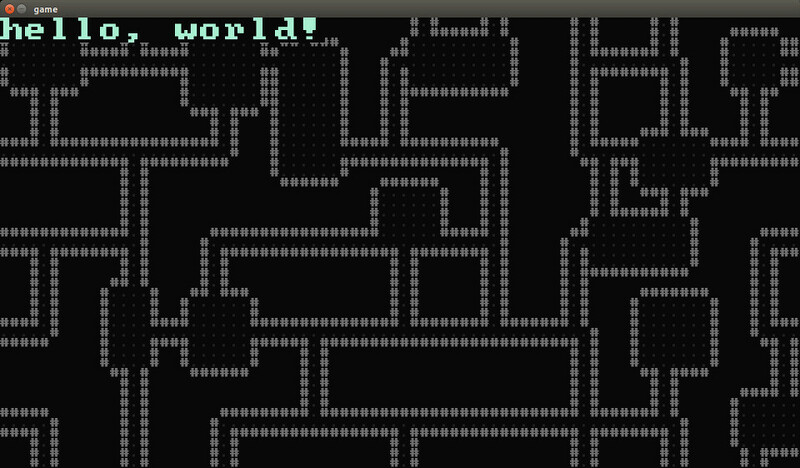 My entry for the 7 day roguelike challenge 2015. Wrapped up the challenge today by implementing an ending for the game. I also did many tweaks here and there. Overall I'm pretty happy with how it turned out given the time limit. It's certainly more of a game than what I turned in for last years challenge. 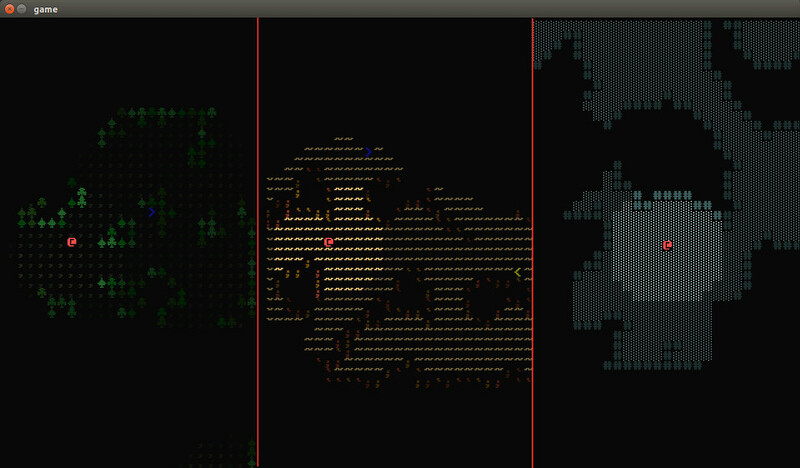 Added rudimentary ai pathing today, implemented status bar and made portraits for all the monsters. Started adding monster and item data today (75% there, or so). I think the main takeaway is that it's a lot of somewhat tedious work. That's likely due to not having a lot of previous experience designing such systems and the tight time constraints (a couple of evenings remaining). In the below screenshot you can see the Neutralizer which is a unique mace with 25% change to disarm opponent (damage set to 1). 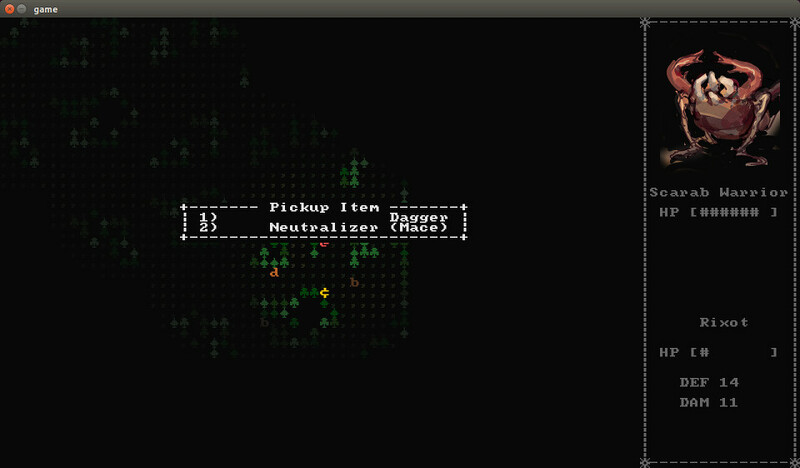 Added item and dialog systems today. 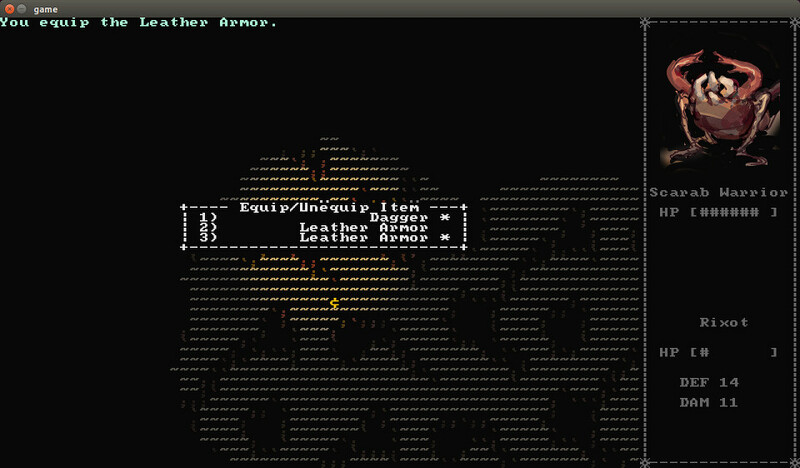 Monsters can now drop loot that the player can pick up and equip through dedicated dialogs. The status bar shown on the right is still a static mockup that needs to be implemented. Otherwise all other major UI dialogs should now be there. Hooked up monsters and combat today. It's all still very basic but it'll get more interesting once items are introduced. I'll probably tackle that tomorrow. 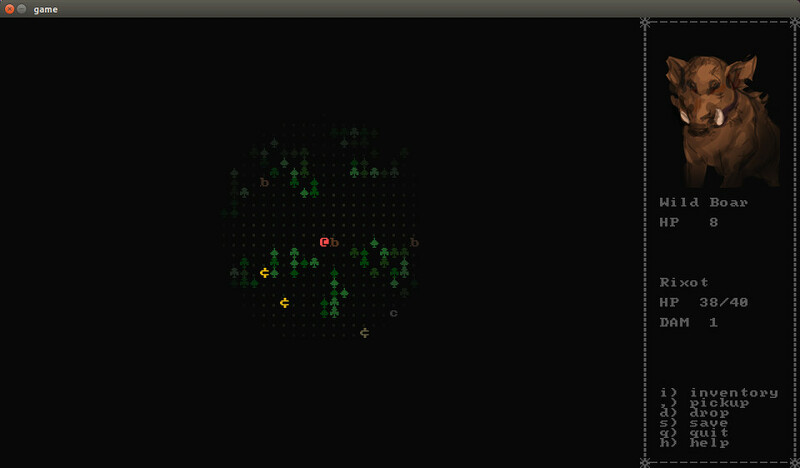 I also sketched out the UI a little. I'm planning on adding portraits for each of the monster types to enchance the atmosphere a bit. It'd also be a lot of fun to paint them. We'll see. 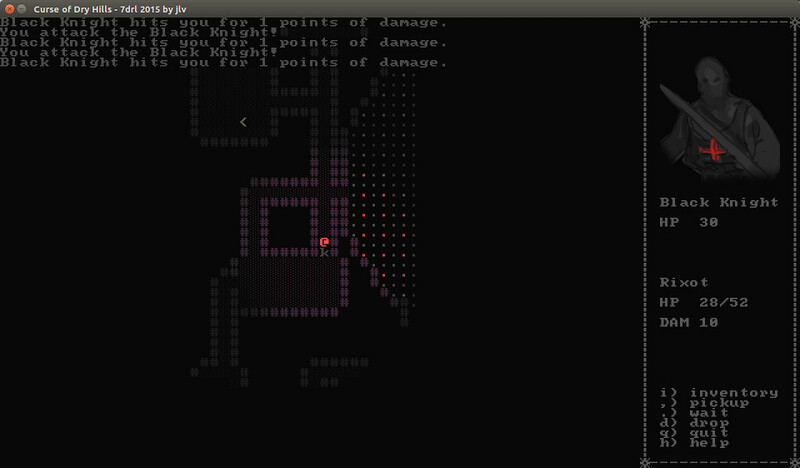 Experimented today with level generation some more. I'm thinking of having three different levels with unique layout, monsters and coloring. Feeling a bit like there's still so much stuff to do and time just keeps ticking away...! I started around 8pm on last saturday so that means there's roughly 5 days left. I'll need to try to pick up the pace tomorrow.